Bernice Jean Conner, of Sammamish, died on Monday, August 20th, 2018. Bernice was 90 years of age and was preceded in death by her husband of 64 years Albert Conner and son David Conner. Bernice was born on March 23rd, 1928 in Philadelphia, Pennsylvania, the daughter of Joseph and Geradine Jamison. Bernice was raised in Philadelphia and graduated from Little Flower Catholic High School. On Thanksgiving Day 1950, Bernice and Al were married and moved to Northeast Philadelphia where they raised three children, Carol, David and Cynthia. Bernice and Al loved the Jersey shore and could be found most weekends at their shore residence in Longport, New Jersey. For more than 20 years Bernice was a bookkeeper and primary sales associate at James 5 & 10 in the Somerton area of Philadelphia. Bernice and Al were longtime residences of Hill House in Meadowbrook, PA and loved to travel. After the death of her husband, Al in 2014, Bernice moved to Sammamish, Washington. Survivors include her daughters Carol Morgan (Robert) of Sammamish, WA and Cynthia Chester (Steve) of Clarksville, TN; four grandchildren, Keith, Constance, Elizabeth and Kathryn; five great-grandchildren, Jameson, Brendan, Meredith, Wyatt and Benjamin; and Brother, Joseph Jamison (Elaine). A Mass of Christian burial will be held at Mary Queen of Peace, Sammamish, WA on Saturday August 25th. A graveside memorial service will be held in Philadelphia, PA on Wednesday August 28th at William Penn Cemetery. 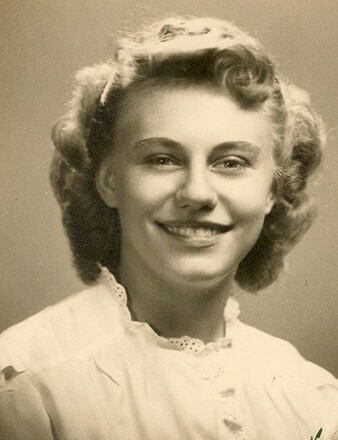 The family suggest remembrances to Mary Queen of Peace, 1121 228th Ave SE, Sammamish, WA 98075.